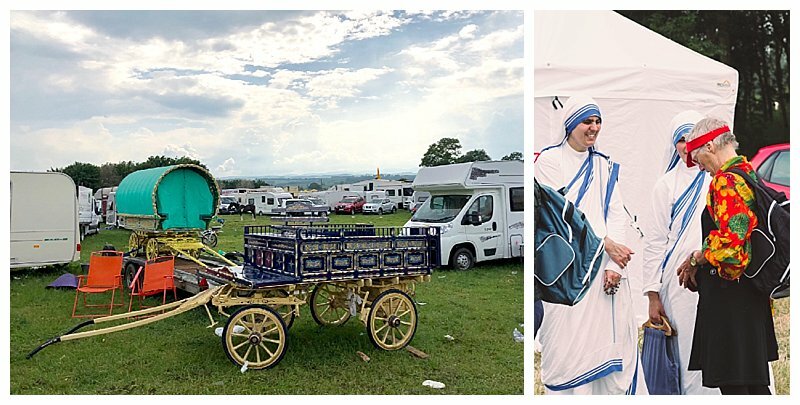 This year was our second year to witness the travelling and gypsy community make their way through Sedbergh to Appleby Horse Fair. 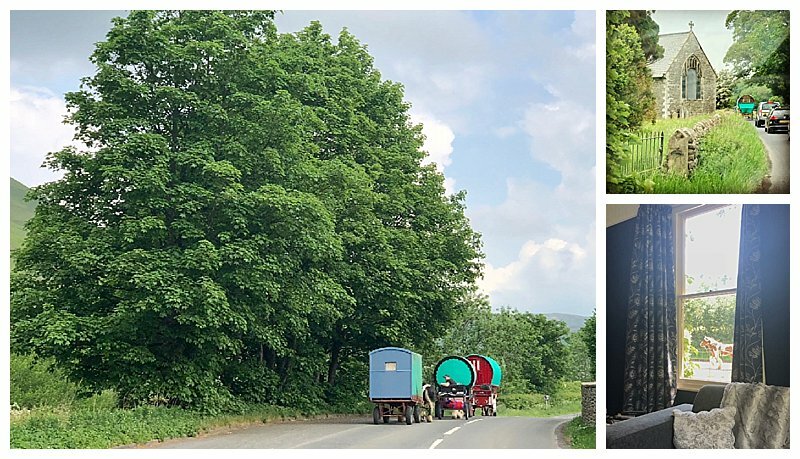 There is something lovely about being in Cautley, because in our location, we just hear the clip clop of horses and get to watch the traditional, ornate and pretty caravans go past on their way. 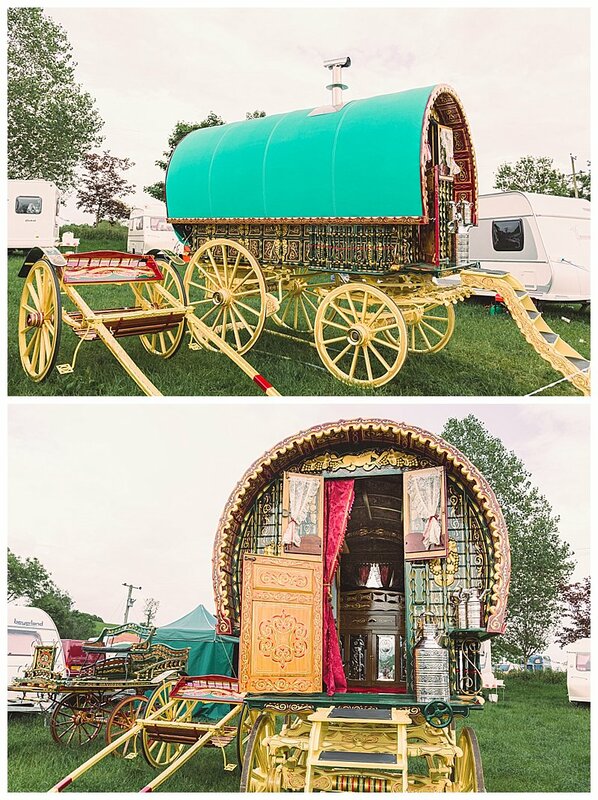 There is often mixed feelings in the various towns on route to Appleby in Westmorland about the odd few that spoil it for others and I’m sure many of you will have watch various tv programmes about the gypsy way of life and formed your own opinion. 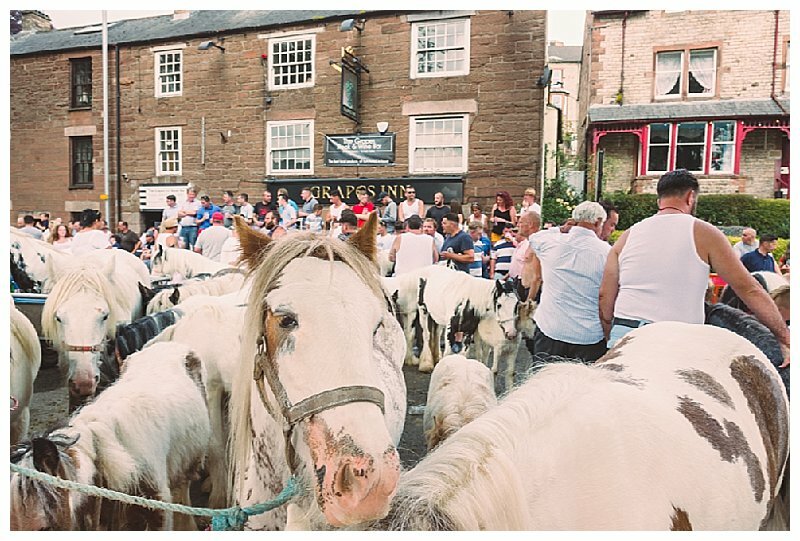 I (Joanne) have photographed a wedding with a family descended from travellers, which was wonderful and so I was keen to see Appleby Fair for myself. 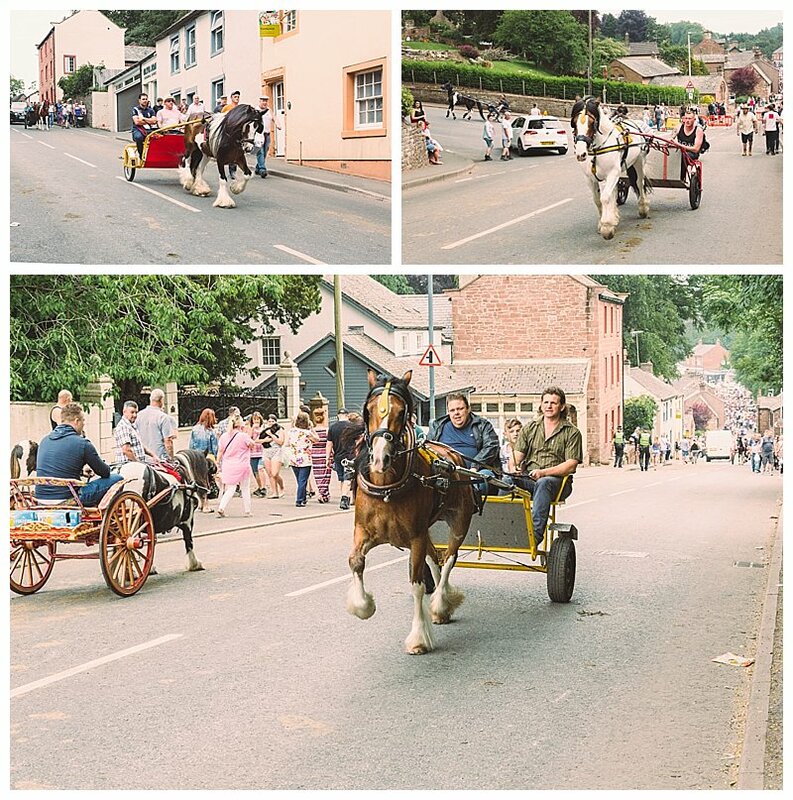 Appleby Horse Fair is an annual gathering of gypsies and travellers and is known for horse trading. 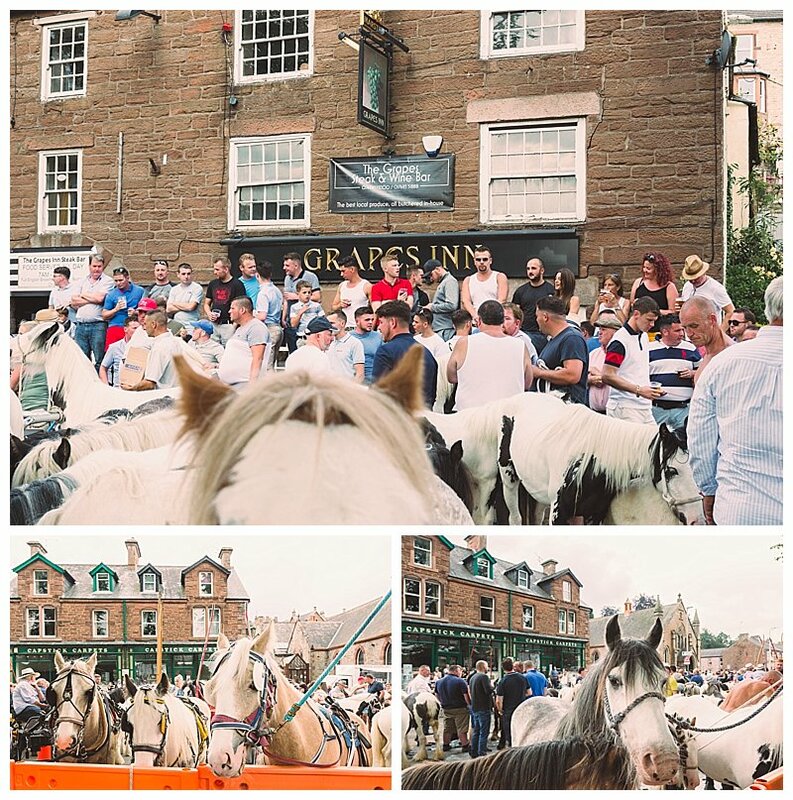 The largest gathering in Europe, the town of Appleby in Cumbria is host to the fair that is full of traditions and tourists, as the travelling communities come together to trade their horses. 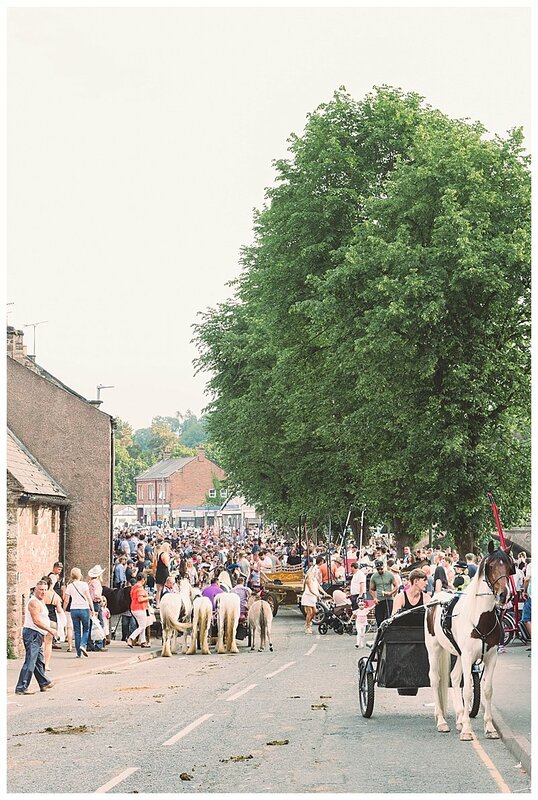 Back in 1685, King James II granted a Royal Charter for a horse fair to be held near the River Eden and now around 10,000 travellers come from around the UK and the rest of the world to meet up and primarily trade horses, along with around 30,000 visitors to witness a weekend of traditions and culture. 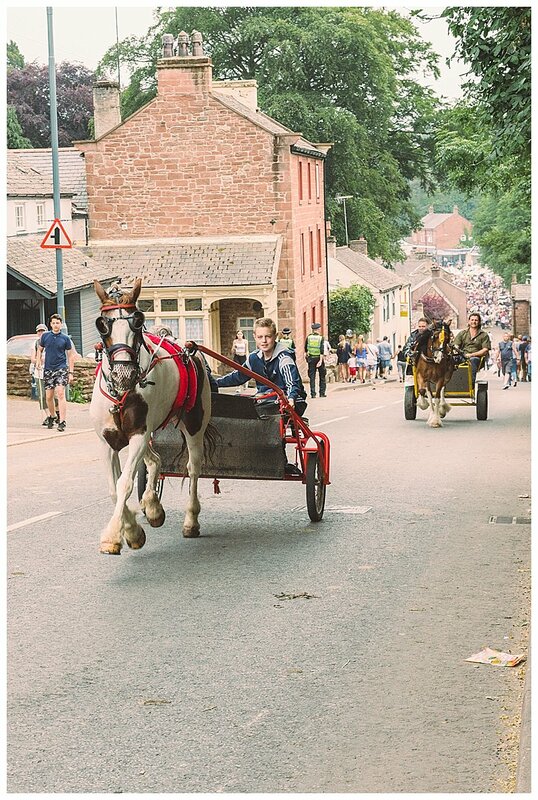 I’ll be honest, I didn’t document lots of the fair, as this was my first visit there and as I am a photographer that feels you should engage with people if you are going to take their photograph, rather than stand at the sidelines with a zoom lens and capture anything without anyone knowing, I didn’t get fully involved on this occasion. 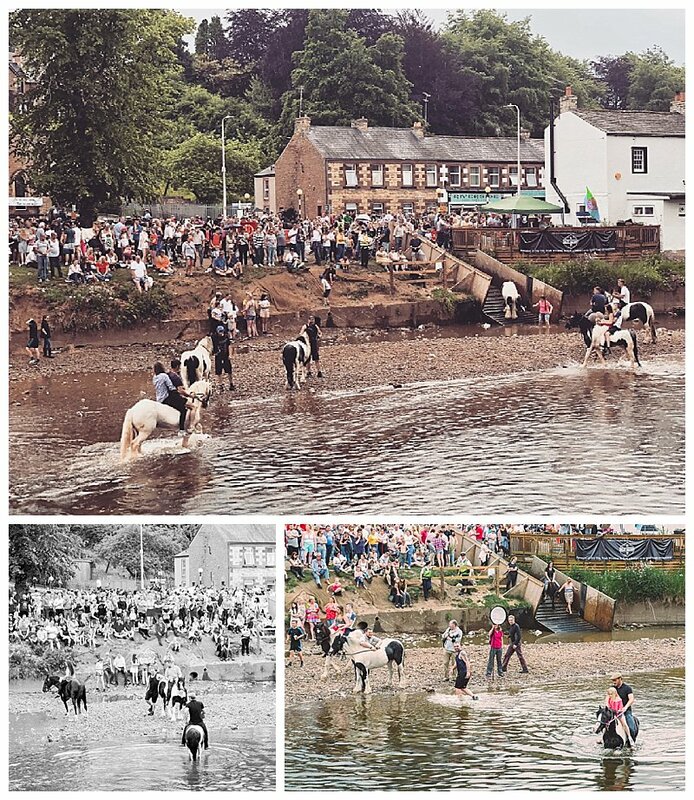 There are plenty of photographers around over this weekend in Appleby and in the past there has been some amazing imagery captured of this community. 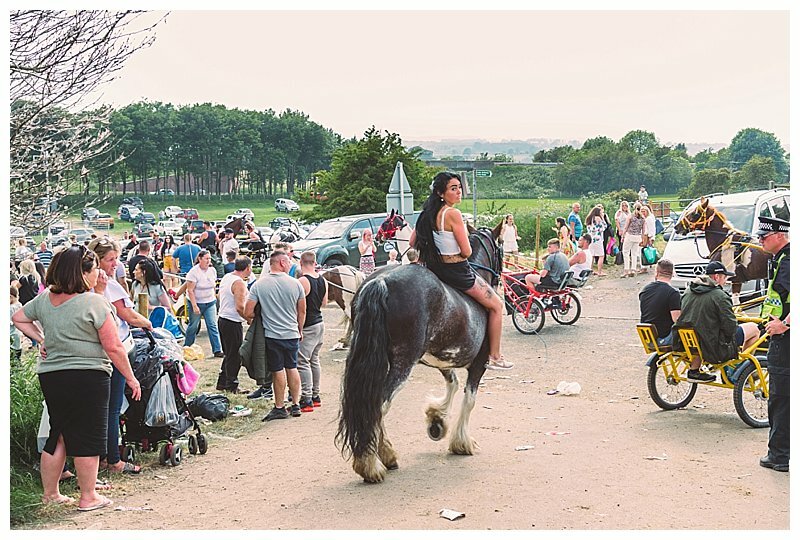 I would love to go back and capture the real lives and maybe one day I will, but for now I was happy to take in the atmosphere. 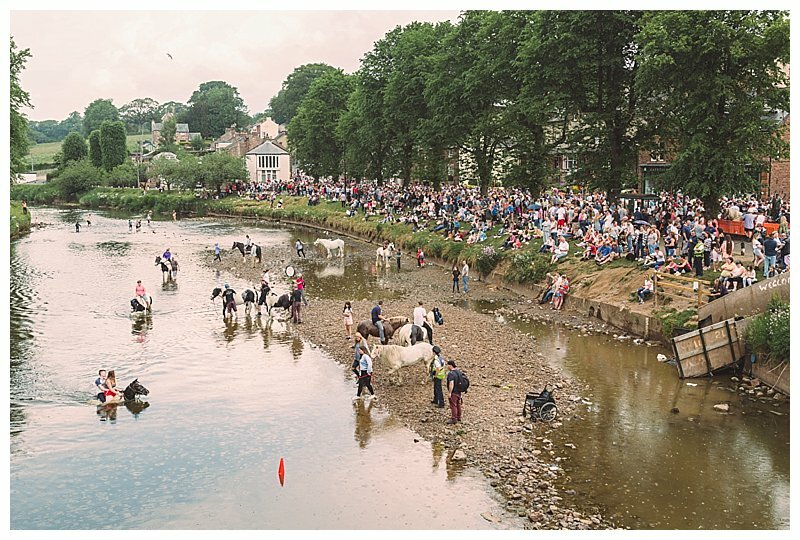 If you’ve never been to Appleby Fair, it is worth a visit. 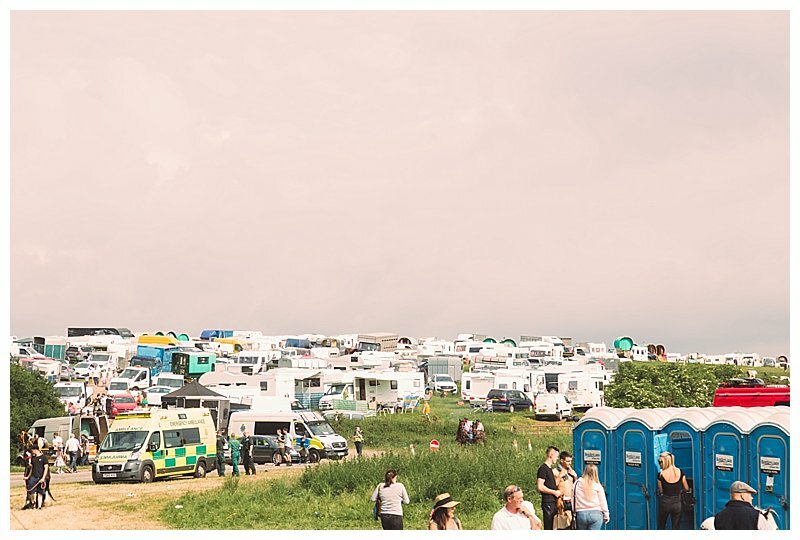 If I was anywhere else in the world and Lonely Planet told me about a festival, I would be going along to see it, so it seemed an obvious choice to go and see a traditional event practically on our doorstep. 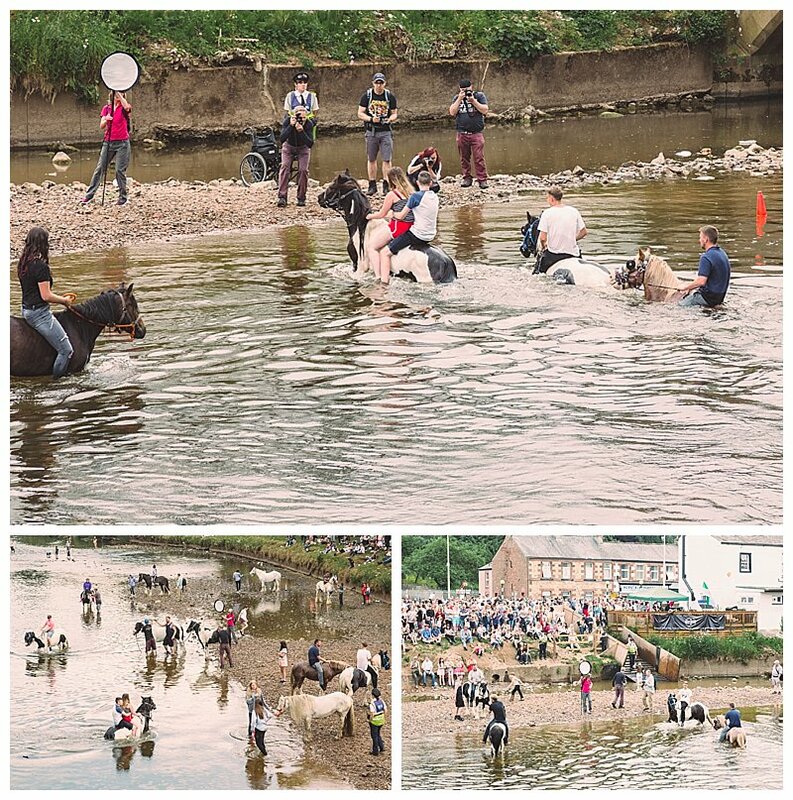 We witnessed the horses being bathed in the river and saw them groomed and on show for trading. 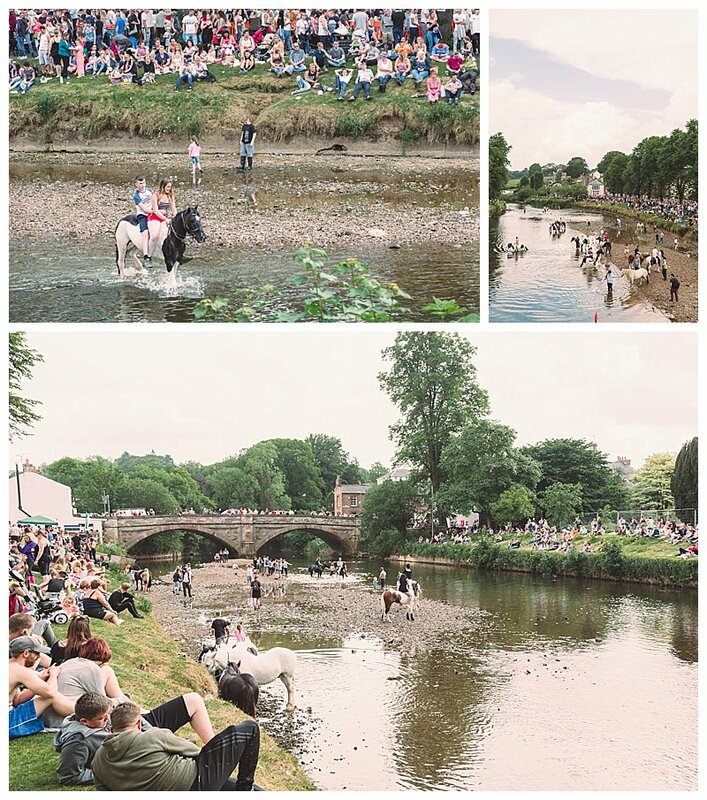 The roads are busy with horses and travellers riding up and down from the campsites to the river. 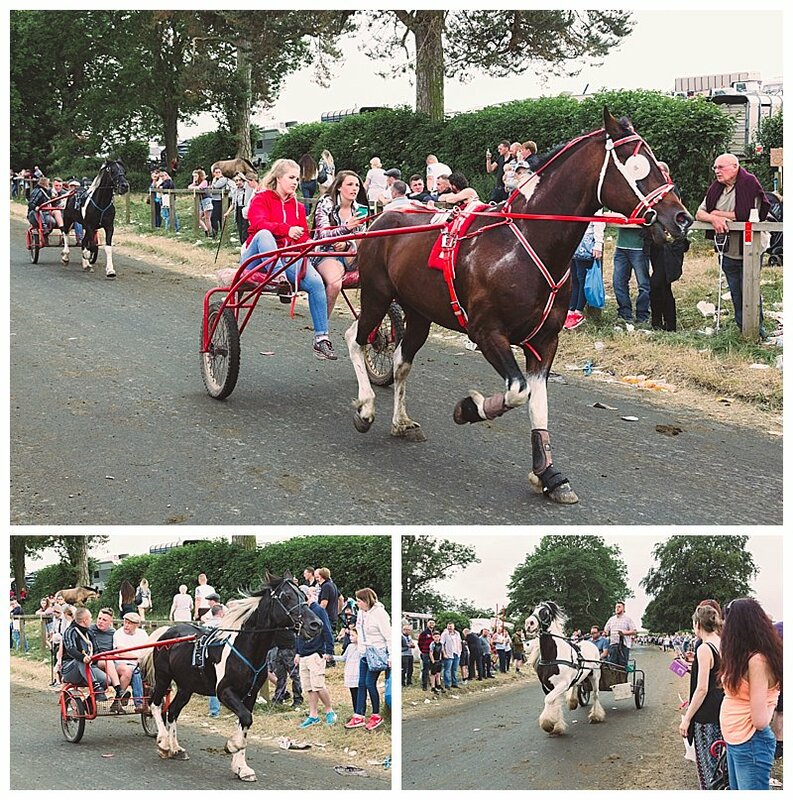 As is often the case when witnessing other cultures, other than what we are used to, you can sometimes have a reaction to the treatment of the animals, but there are stalls for the education of equine welfare and the RSPCA are out in full numbers throughout the town. 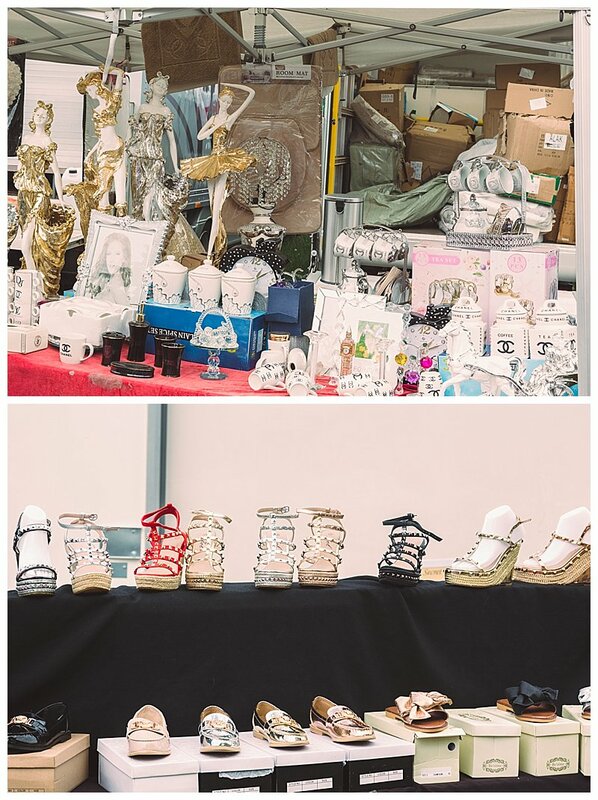 The markets are full of everything from shoes to caravans and the ladies are dressed to impress. 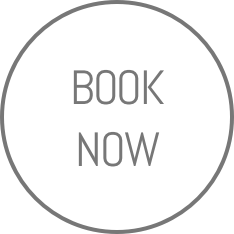 You can go and see a fortune teller and witness the ‘flashing lanes’, or ‘mad mile’ as it is termed where they race the horses. 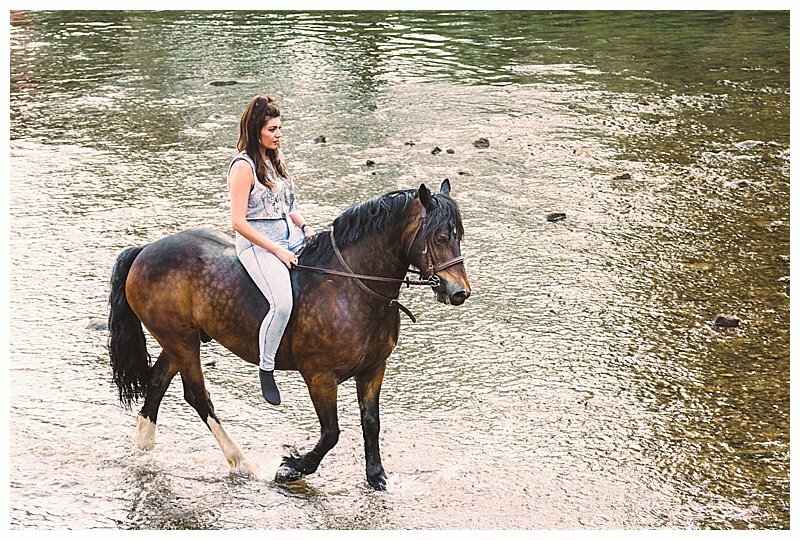 An absolute spectacle to witness and so glad we went along.